Arizona is expecting to end the fiscal year with $250 million more in the budget than initially projected. Our Legislature should be scrambling to get that money into our schools. Instead, Republican leaders continue to drag their feet, leaving schools in dire financial straits. Arizona has the resources needed to fund education and invest in our future – but the Republican leaders in this state have made a choice not to. This new money should be used right now to help pay the $330 million that the court says Arizona schools are due for inflation funding. And the governor and other leaders should be working with stakeholders across the state to develop a long-term plan for fully funding education. 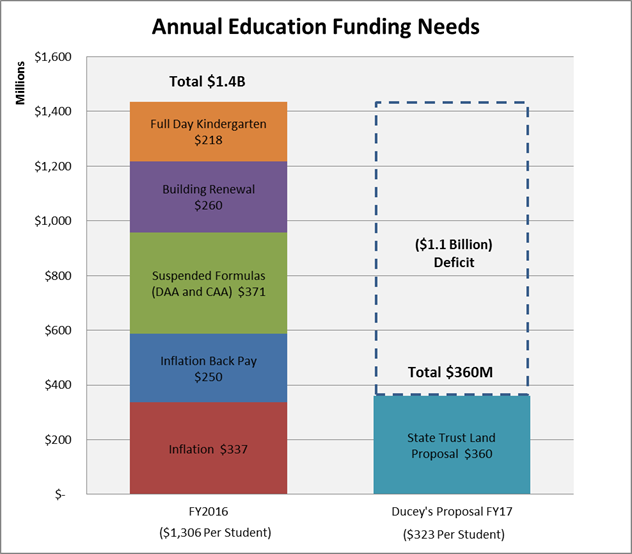 If the Republicans continue to neglect funding for education, what should Arizonans expect to see as a result of years of budget cuts to education? Funding our schools now is an investment in our future. 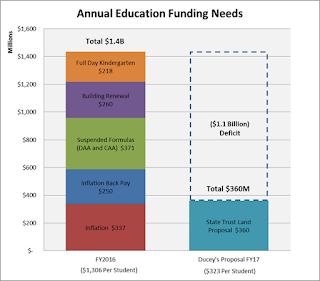 A strong economic development strategy should include significant funding for education. It’s time to #AskDuceyWhy he and other Republican leaders won’t invest in education funding right now.